If you read My Story, you probably already have a good idea about my philosophy. I don’t give up and I strive to see an opportunity in all challenges. I believe food can be medicine. What I mean by “can” is that if we eat perfectly but our bodies are not processing the food optimally we will not absorb energy and nutrients from that food, as our bodies were created to. It is then a downward spiral from there. I also believe that there isn’t any one perfect diet for everyone. There are foundational elements to what we consume and how we do so which apply to everyone but we must respect bio-individuality; there is not a ‘one-size-fits-all’ approach. For instance, I advocate a whole food nutrient-dense diet and that everyone should avoid refined carbohydrates and sugar. For those suffering from any autoimmune condition, gluten and for most, dairy, can wreak havoc on your condition. Some have to eliminate even healthy foods, at least temporarily, because they have food sensitivities. Whether you are vegan, a raw foodist, eat primarily Paleo, have a Mediterranean diet, just follow high fat/low carb practices or the Ketogenic diet, or somewhere in between or around, each of those dietary habits may work for some and not for others. 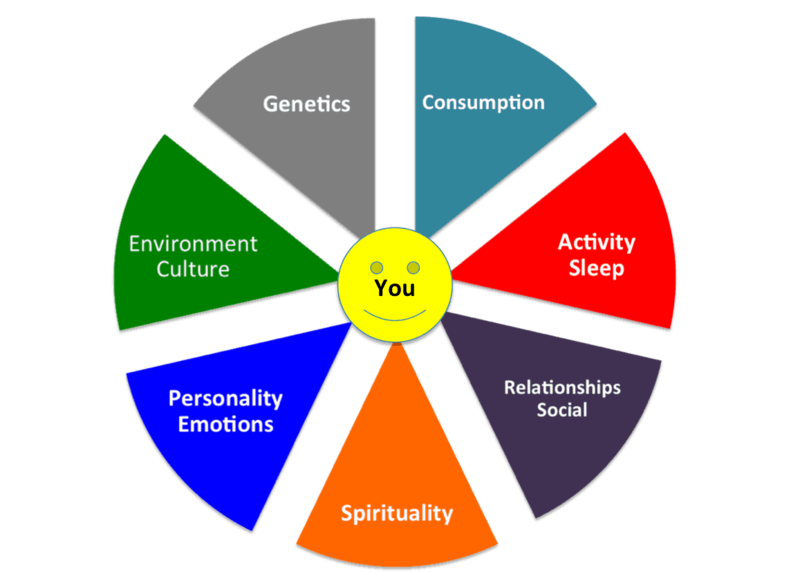 In addition, as important as our dietary habits are to our health, they are just one factor of many that influence our whole body (body, soul, spirit) wellness. Toxins and irritants to our body are not all in the form of food and things we ingest. Other factors such as stress, sleep, activity and fitness, environmental exposures, negative emotions, pessimistic mindsets, etc. also play a big role in our health and wellbeing, and those too have to be dealt with. 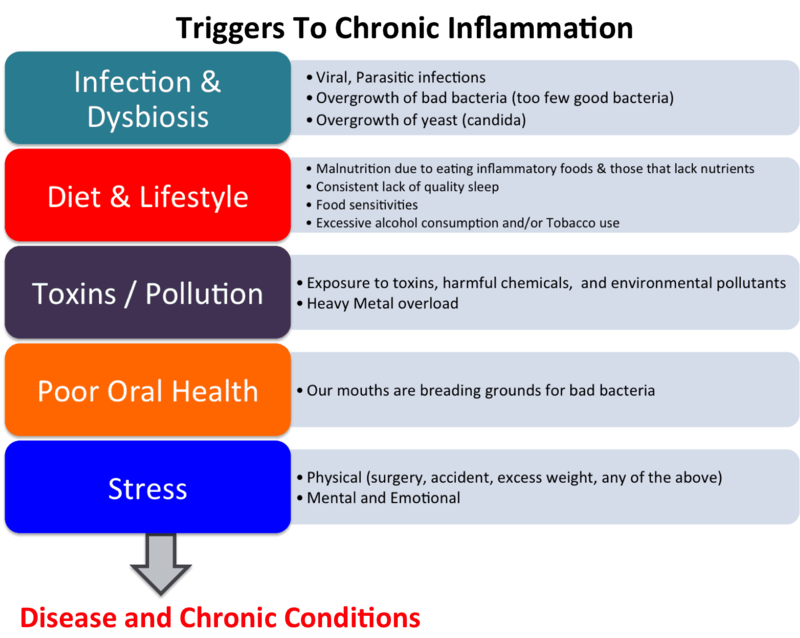 Although some may have the same symptoms, adverse reactions, and/or unhealthy conditions, the root causes may be different. Conventional Medicine is known for doing a great job at acute care, diagnosis, and treating symptoms. It does not, however, do a good job at promoting preventative factors to avoid health problems nor seeking to understand root causes when someone is already diagnosed. Masking the problem by managing symptoms with medications or even natural care is not the solution. Symptoms stink but they are not the problem, they are the manifestation of underlying problems – all rooted in dysfunction. A diagnosis or symptoms are often a downstream result of an upstream (underlying cause/root) imbalance. We don’t want to just suppress the symptoms. Ultimately and for optimal wellness, you must uncover and address the root cause(s). It is no different when someone cuts weeds down along with the grass when mowing the lawn and wonder why the weeds keep growing back. You must pull the roots out in order to keep the weeds from growing back. It is a similar concept with us. We must deal with the factors that trigger chronic inflammation that leads to disease and chronic health problems. Get rid of that relentless fatigue? Be done with your chronic pain? Have your annoying or debilitating symptoms gone so you can live the life you want? No longer have brain fog? Not suffer from anxiety and depression? Lose weight without having to count calories, skip meals, or drink crazy concoctions? Say goodbye to belly bloat and embarrassing digestive problems? Then let’s work together to uncover what is compromising your health. Getting fruitful results is an outcome of being faithful and diligent at uncovering the triggering factors and addressing them. I work in partnership with my clients to educate, equip, and empower them. I am not a substitute for your doctor or other healthcare providers; more so another partner on your team. I can help you have better relationships with your healthcare providers and teach you how to be a better advocate for yourself and get the most out of their expertise. I don’t mind giving people good solid advice and it is easy to take people’s money if they want to become dependent on me to be around for them all the time. However, walking alongside you for a while will not only help you feel better but help you learn about food, nutrition, your body, and other key aspects that impact your wellbeing. I will help you so you can make healthy choices in the future and take charge at thriving in your wellness.